What better way to liven up a Thursday night than to cruise over to Silver Lake’s new Sunset Triangle Plaza for some gratis entertainment? 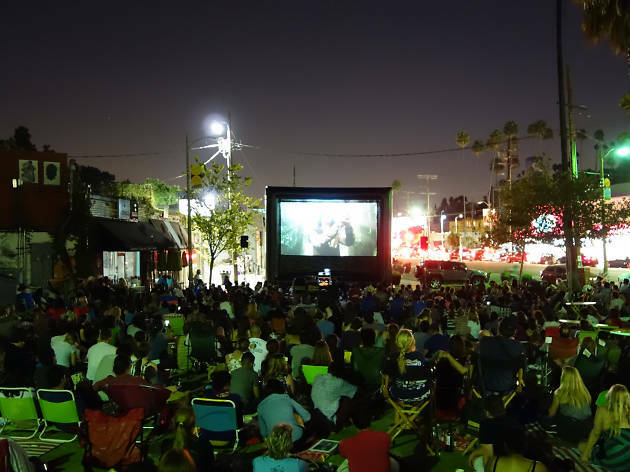 Every other week through September, grab a summer snack, retire your wallet for the night and relax in front of the big screen. The Silver Lake Picture Show features your ultimate favorites, but not before spotlighting a short from a local filmmaker. Bring the fan and your friends to this free sampling of Eastside talent and a classic flick—this one’s a no-brainer. We have been going since the start of the SLPS, and all I can say is it is a blast and it is FREE! Come on out, grab some food from a local restaurant or grocery story, and watch a movie outdoors with a bunch of good people. And bonus! Before the film, you get a local band and a short from a local filmmaker. 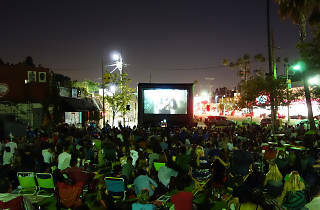 If you like Hollywood Forever outdoor movies but don't want to stand in line and pay money (and sit on graves), Silver Lake Picture Show has all the fun without the hassles. See you at the picture show.